Verified by Visa - Mastercard Securecode - JCB Secure - GeoTrust - DBD Verified. All logos of current payment options at the checkout payment choice. 1) ALWAYS make a backup of your site before applying new mods. 2) Unzip the downloaded files. 3) You should have a folder called UPLOAD. 4) Upload the contents of this folder to your web shop's admin, catalog and image. These are new files and no files will be overwritten. 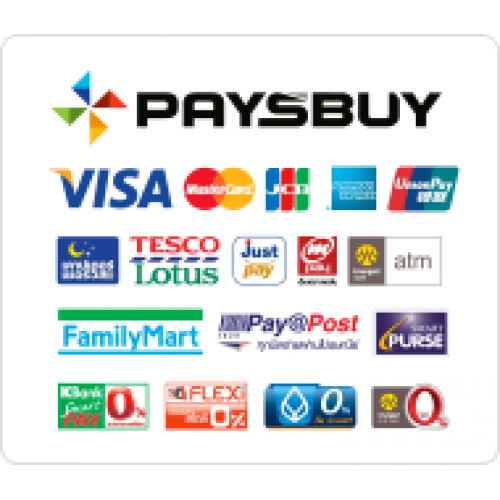 FOR USING THE PAYSBUY LOGO AND PAYMENT OPTIONS LOGO IN THE CHECKOUT. 5) Login to your Administration panel. 6) Select "Extensions > Extension Installer > *Upload file > Upload >". 7) Upload the file "install.ocmod.xml" from the unzipped directory "paysbuy OC2.x/logo_script_checkout". 8) Select "Extensions > Modifications" and press the REFRESH button. 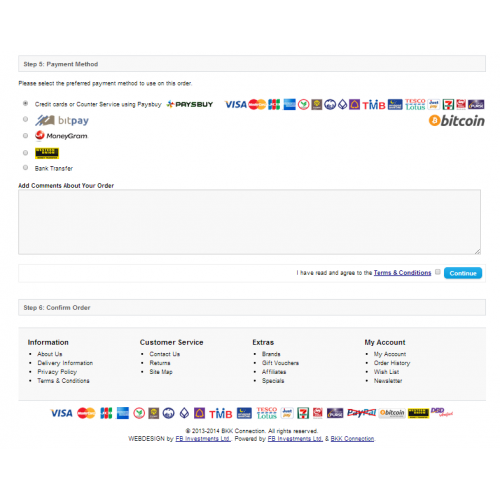 FOR USING THE PAYSBUY LOGO AND PAYMENT OPTIONS LOGO IN THE FOOTER. 9) Login to your Administration panel. 10) Select "Extensions > Extension Installer > *Upload file > Upload >". 11) Upload the file "PaysBuy_logos_in_Footer.ocmod.xml" from the umzipped directory "paysbuy OC2.x/logo_script_footer". 12) Select "Extensions > Modifications" and press the REFRESH button. 13) Login to your Administration panel. 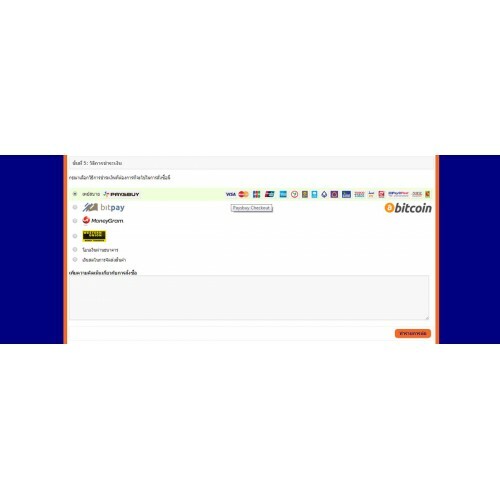 14) Select "Extensions > Payments >". 15) Click on Install "Paysbuy"
16) Click on Edit "Paysbuy"
17) Fill in your account's email address used Paysbuy. 18) Transaction Method: Choose "Payment"
19) Waiting payment Status: Choose "Pending"
20) Order Status Success: Choose "Processing"
21) Payment Status Failed: Choose "Failed"
24) Save Paysbuy Payment Gateway, using the blue-white button in the upper right corner.
! NOTE: You might set the permissions of folder: system/modification to 777 ! 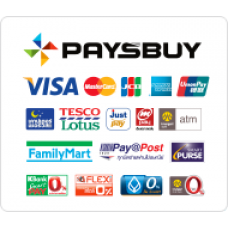 We wish you lots of sales using Paysbuy Payment Gateway.